Six years ago Hertfordshire couple Katharine and Paul Hodkinson gave up long established careers to pursue their dreams of owning their own carp fishing lakes on the continent. At the end of 2012, and with well-worn passports in hand, all the hard work paid off when they moved to their new home in France. Pocket Farm talks to Katharine about their inspiring experience…. Can you tell us what you were doing before the lakes? Our first lake opened for business in 2006. I had been in medical sales for many years and left my last full time position in July 2010, where I worked as Account Manager for a company promoting heart valve repair and replacement products to Consultant Cardiothoracic Surgeons. The job involved a great deal of travel both nationally and internationally and although I enjoyed most aspects of the role, I resigned my position in order to concentrate on our business in France and spend more time at home. I did spend 12 months working part-time as a GP receptionist before we moved to France. When we bought Les Saisons Paul worked in his family business, a company offering warehousing and marketing services. 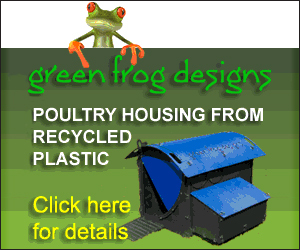 Following a restructure of the company Paul sold his shares and moved on. For the last 5 years in the UK he also took a part time position, working at Van Hage garden centre Monday to Wednesday, leaving him free to be in France for several days each week if necessary. How did they come about, was it a conscious decision or an opportunity that arouse unexpectedly? It was a conscious decision, Paul has always been a keen carp angler and never made a secret of the fact he would love to own a lake in France. When we found ourselves in a position to consider this we emailed around 100 agents /property consultants in France explaining roughly what we were looking for. I think maybe a handful replied and we bought our first lake, Les Saisons, in February 2005 through one of those contacts. 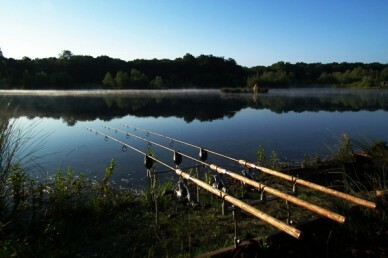 Did you have any previous experience of running and maintaining a carp lake? Was it ready to go or was there work to do in to order make it viable as a business? No. Massive! The whole process was far harder than we ever could have anticipated. We had to make it a viable business. The previous owner used it privately for hunting and fishing. When he died ownership passed to his wife and children (normal procedure under French inheritance law). Although a lodge was on the lake there was no electricity, toilet, shower, kitchen etc. The lake had to be stocked with carp, swims had to be built for the anglers, snags removed from the water, weed treated, the list is endless. What was the process of acquiring your first lake? Any major issues with the language barrier, legal system, anything else? The buying/selling process here is very different to that in the UK and involves dealing with the local Notaire, Mayor, and vendors. I do speak French but we were lucky in that our agent was a Brit living in France who could help us through the process with his local knowledge. We were also fortunate enough to forge good relationships early on at Les Saisons with 3 locals who not only helped with the work but assisted us in wading through local bylaws. The pressure of traveling and an approaching opening date in March 2006 was hard but worth it and now Michel, Christian and Laurence are our friends and remain part of the team. How did you drum up interest early on? Did it take off quickly, was it a slow steady build or was it harder than expected to generate interest? It’s a hugely competitive market. We researched and tried to price ourselves correctly (not too cheap, not too expensive). We had professional brochures printed and most importantly of all advertised on Google, this was and remains the best way of promoting our business apart from word of mouth. Local tackle shops, Johnson Ross in Hoddesdon and Angling Direct all helped to support us. How did you find managing the lakes from the UK, did you have someone to caretake in France or did you just do lots of commuting? Managing a business based in another country was really tough. Although we have bailiffs who could meet and greet customers, clean the lodge and respond to customer questions, Paul was still commuting to France once a week to carry out essential maintenance and meet our customers. At what point did you decide to take on the second lake? We bought Lac du Menhir, through the same contact as the first, in July 2008. Was it this extra responsibility that prompted the move to France or was that always the ultimate aim? Both. We went ahead with the second lake with a view to moving to France although we came out here sooner than planned as running 2 lakes from the UK was proving extremely hard. How have you found it in France, how easy has it been to integrate into the community? It’s early days but we felt settled very quickly. We have built up some contacts and made some friends over the years while establishing the lakes. We’re also lucky to be renting a house from a couple who live in the same village and are very kindly introducing us to people and helping us integrate locally. For me, speaking some of the language definitely helps. What”s the best thing you have taken from the experience. Anything you would have done differently with the benefit of hindsight? There was a lot of work right from the beginning which involved finishing work in the UK on a Friday, travelling to France and working until Sunday when it was necessary to travel back to the UK ready for work Monday morning. We pretty much had a blank canvass at both lakes so really did, quite literally, build our own business(es). The satisfaction comes when a swim has been built, another tree removed from the lake, fencing in the properties etc. Mirror, mirror in the pool…. Setting up Lac du Menhir was simpler as we were more familiar with the French system and had some contacts. We soon found out things could go horribly wrong though when there were complications with building permission for the lodge and we had to open our first season with a caravan and portaloo on site instead of the facilities planned for customers. This was a tough time as we felt we were letting people down although, fortunately, most customers understood and many have since revisited. Financially it was also a challenge. As at Les Saisons we now have good support from our friend Didier at Lac du Menhir. In hindsight, some of the larger obstacles we had to deal with in setting up both lakes may not have been so big had we lived in France and been able to take more control ourselves. Sell the lakes to me, what do you offer? We mainly offer exclusive lake use for a group of friends. We selected our locations carefully so that customers do not have a long journey from Calais and local towns and supermarkets are less than 10 minutes away. The lodges are full equipped with kitchen and bathroom and, as you will see from the photos, our lakes are in very picturesque surroundings. 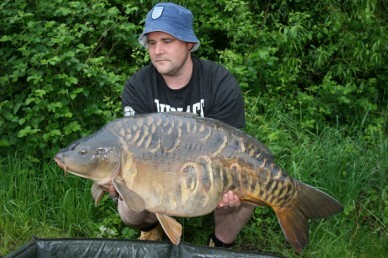 The main reason anglers come to France though is for the fish which are larger than in the UK. A lot of our bookings are repeats so it becomes more like having friends stay with us each year. The current record carp weighing in at scale shattering 53lb 8oz. Is there a “60” lurking our there? What is it do you think that makes the carp grow bigger there on the continent? What”s in the water over there? If we could answer that we would be rich and not working so hard! What are your plans for the future? More lakes? As we are still settling into our new home over here we are consolidating for the moment. Who knows what could happen but definitely no more lakes on the cards. My husband and I are in a similar position, we have decided to do something similar except live in France, can you recommend an agent? We’d be happy to help if we can – send us an email to kphlakes@yahoo.co.uk and we’ll send you some details.